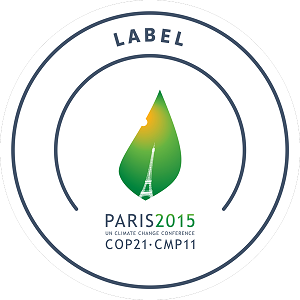 December 13: Paris climate talks: governments adopt historic deal, the Paris Agreement. The historic Paris Agreement paves the way for countries to start the urgent tasks needed to deliver their national climate change plans – the true impact of the agreement will be felt only in the months and years to come, but there is no doubt COP21 provides a firm foundation for short, medium and long-term focused actions by individual countries. Some actions can deliver benefits immediately, others will deliver the promises for 2030, and yet others must set the strategy for 2050 and beyond. In the short term, countries can take early actions in line with their national priorities, and thereby demonstrate immediate returns from their investment so far in the Paris process. At the same time they can now prepare comprehensive plans to achieve the 2030 goals set in their Intended Nationally Determined Contributions (INDCs). And in light of the ambitious long term targets also agreed in Paris, countries need to consider options for low emission development strategies, to deliver a peaking in emissions followed by carbon neutrality in the second half of the century. Political will and effective governance: COP21 not only demonstrates that the international community is committed to a low carbon, climate resilient future.It sets up a governance regime to oversee the effectiveness of national actions, with 5 yearly milestones for submitting steadily more ambitious national plans and undertaking global stock-takes. Integrated adaptation planning: The issue of adapting to climate change is now on an equal footing with mitigation.The global goal to enhance adaptive capacity, strengthen resilience and reduce vulnerability, means that adaptation will be included in future Nationally Determined Contributions and in the 5 yearly global stocktake. Climate finance frameworks: Finance lies at the heart of the new agreement, with its own objective, and commitments to provide scaled up financial resources and capacity building to support country-driven strategies.Its adoption is being heralded by private investors as a game-changing moment.Their role and that of carbon pricing will be vital in funding national projects and programmes. November 1: ‘’The cooperation of over 190 countries in securing many positive outcomes owes much to the patience and persistence of the COP President—Manuel Pulgar-Vidal—and the spirit of Lima as we look forward to Paris—the city of lights and the city of love for our shared future and shared environment’’ Christiana Figueres, Executive Secretary of the UN Framework on Climate Change (UNFCCC). The main objective of the annual Conference of Parties (COP) is to review the Convention’s implementation. The first COP took place in Berlin in 1995 and significant meetings since then have included COP 3 where the Kyoto Protocol was adopted, COP 11 where the Montreal Action Plan was produced, COP15 in Copenhagen where an agreement to success Kyoto Protocol was unfortunately not realised and COP17 in Durban where the Green Climate Fund was created. In 2015 COP21, from November 30 till December 11 2015, also known as the 2015 Paris Climate Conference, will, for the first time in over 20 years of UN negotiations, aim to achieve a legally binding and universal agreement on climate, with the aim of keeping global warming below 2°C. What can we reasonably expect from Paris? The Hertie School of Governance is honoured that Christiana Figueres, Executive Secretary of the UNFCCC secretariat, shared her perspective on COP21 and the world’s response to climate change. Moderation by Claudia Kemfert, Professor of Energy Economics and Sustainability, Hertie School; Head of the Department Energy, Transportation, Environment, German Institute of Economic Research (DIW Berlin). Post modern thinking is relative, pragmatic, dualistic, individualistic. That’s “SIN” with i in the middle. It’ going about ME (written on an billboard in front of my house). Other opinion, believe, truth, etc. is relative!! Every man, woman has his/her own truth and way of life. SO DO WHAT YOU CAN DO please on your work, home, politic, etc. Work for an ecological harmony economic with peace and LOVE and sharing from money, food, goods to the poor. Eleven donors have pledged close to $250 USD million in new money for adaptation support to the most vulnerable countries on the planet giving a welcome boost to the start of the climate talks here in Paris. Canada, Denmark, Finland, France, Germany, Ireland, Italy, Sweden, Switzerland, United Kingdom, and the United States of America announced their contributions today to the Least Developed Countries Fund (LDCF), a climate fund hosted by the Global Environment Facility (GEF). See attached joint statement from the donors, including amounts pledged. Paris Climate Change Conference opens with unprecedented call by governments and businesses to end fossil fuel subsidies. An unprecedented coalition of close to 40 governments, hundreds of businesses and influential international organisations has called today for accelerated action to phase out fossil fuel subsidies, a move that would help bridge the gap to keep global temperature rise below 2°C. On the opening day of the UN Conference on Climate Change (COP21), New Zealand Prime Minister John Key formally presented the Fossil Fuel Subsidy Reform Communiqué to Christiana Figueres, Executive Secretary of the UN Framework Convention on Climate Change (UNFCCC), on behalf of the Friends of Fossil Fuel Subsidy Reform, The Prince of Wales’s Corporate Leaders Group and other supporters of the Communiqué. The Communiqué calls on the international community to increase efforts to phase out perverse subsidies to fossil fuels by promoting policy transparency, ambitious reform and targeted support for the poorest. Governments spend over $500 billion of public resources a year to keep domestic prices for oil, gas and coal artificially low. Removing fossil fuel subsidies would reduce greenhouse gas emission by 10 per cent by 2050. It would also free up resources to invest in social and physical capital like education, healthcare and infrastructure, while leveling the playing field for renewable energy. Close to 40 countries (Austria – Canada – Chile – Colombia -Cook Islands – Costa Rica – Croatia – Cyprus – Czech Republic – Denmark – Estonia – Ethiopia – Finland – France – Gambia – Germany – Ghana – Iceland – Italy – Lithuania – Malaysia – Republic of the Marshall Islands – Mexico – Moldova – Monaco – Morocco – Mozambique – Netherlands – New Zealand – Norway – Peru – Philippines – Samoa – Sweden – Switzerland – Uganda -United Kingdom – United States – Uruguay) have endorsed the Fossil Fuel Subsidy Reform Communiqué. The Communiqué is supported by The Prince of Wales’s Corporate Leaders Group (23 global companies employing 2 million people worldwide with combined revenues exceeding $170 billion) and other business organisations working with thousands of corporations and investors, including The B Team, the World Business Council for Sustainable Development (WBCSD) and the We Mean Business coalition . The Communiqué has also been endorsed by influential international organisations including the International Energy Agency, the OECD and the World Bank. Eliminating fossil fuel subsidies can accelerate the economic shift needed to tackle climate change and remove one of the obstacles to delivering the low-carbon future COP21 is aiming for. Parties to the United Nations Framework Convention on Climate Change have recognized that deep cuts in global greenhouse gas emissions are required according to science, with a view to reducing global greenhouse gas emissions so as to hold the increase in global average temperature below 2°C above pre-industrial levels. The elimination of fossil-fuel subsidies would make a significant contribution to this shared objective. By keeping prices artificially low, fossil-fuel subsidies encourage wasteful consumption, disadvantage renewable energy, and depress investment in energy efficiency. The International Energy Agency (IEA) highlights fossil-fuel subsidy reform as a key component of a set of energy measures to combat climate change and estimates that even a partial phase-out of fossil-fuel subsidies would generate 12% of the total abatement needed by 2020 to keep the door open to the 2°C target. Accelerating the reform of fossil-fuel subsidies is therefore an urgent priority. Fossil-fuel subsidy reform has both economic and environmental benefits, thereby supporting our shared global commitment to sustainable development. The International Monetary Fund views that fossil fuel prices should reflect not only supply costs but also environmental impacts like climate change and the health costs of local air pollution. The majority of fossil-fuel subsidies are also socially regressive, with benefits disproportionately skewed toward middle- and upper-middle income households. Reform will free up financing for sustainable development and support both national and international environmental priorities. At the same time, accelerated subsidy reform needs to be undertaken alongside measures that protect the poor and vulnerable groups from the impact of higher energy prices. Many governments have already committed to reform. The Leaders of the Group of Twenty (G20), for instance, committed in September 2009 to phase out inefficient fossil-fuel subsidies. Asia Pacific Economic Cooperation (APEC) Leaders made a similar commitment in November 2009. Within these forums an increasing number of countries have committed to peer reviews of their fossil-fuel subsidies. A group of non-G20 “Friends” countries3 was established to support global efforts to reform fossil-fuel subsidies, including through the United Nations Conference on Sustainable Development and the United Nations Framework Convention on Climate Change. Communication and Transparency about the merits of subsidy policies and reform timetables, including through engagement and communications with the general public and civil society stakeholders to ensure a smooth, inclusive, bottom-up approach to reform; Ambition in the scope and timeframe for implementing reforms; and Targeted support to ensure reforms are implemented in a manner that safeguards the poorest. We invite all countries, companies and civil society organizations to join us in supporting accelerated action to eliminate inefficient fossil-fuel subsidies in an ambitious and transparent manner as part of a major contribution to climate change mitigation. COP21 international climate talks in Paris opened this morning with speeches from outgoing COP20 President and Peruvian Minister of the Environment Manuel Pulgar-Vidal, this year’s COP21 President, French Foreign Minister Laurent Fabius, and Christiana Figueres, Executive Secretary of the United Nations Framework Convention on Climate Change (UNFCCC). His Royal Highness The Prince of Wales gave an opening speech urging delegates to think of their grandchildren, and “those billions of people without a voice; those for whom hope is the rarest of sensations; those for whom a secure life is a distant prospect”. The Prince pointed out that climate change is “our greatest threat” and that “in damaging our climate we become the architects of our own destruction”. His message, though, was one of hope as well as warning. “We have the knowledge, the tools and the money – only 1.7 per cent of global annual consumption would be required to put us on the right low carbon path for 2030,” he said, adding: “we lack only the will and the framework to use them wisely, consistently and at the required global scale”. A new initiative to build climate resilience in the world’s most vulnerable countries was launched today by UN Secretary-General Ban Ki-moon and 13 members within the UN system at COP21, the Paris Climate Conference. The new initiative will strengthen the ability of countries to anticipate hazards, absorb shocks, and reshape development to reduce climate risks. Bringing together private sector organizations, governments, UN agencies, research institutions and other stakeholders to scale up transformative solutions, the SG’s Resilience Initiative will focus on the most vulnerable people and communities in Small Island Developing States, Least Developed Countries, and African countries. Over the next five years, the Initiative will mobilize financing and knowledge; create and operationalize partnerships at scale, help coordinate activities to help reach tangible results, catalyse research, and develop new tools. Initiative will support the work of partners, such as the Africa Risk Capacity, to ensure that by the time the new climate agreement enters into force in 2020, over 30 countries are provided with $2 billion in coverage against drought, flood and cyclones, including $500 million in adaptation financing. 150 million Africans will be indirectly insured. While much of the attention at Paris is focused on reducing emissions in a bid to keep global temperature rise to less than two degrees Celsius by the end of the century, many climate impacts will continue to increase—including rising sea level and more extreme weather events—even if greenhouse emissions cease, according to the Intergovernmental Panel on Climate Change. A recent report issued by the UN shows that over the last twenty years, 90 per cent of major disasters have been caused by 6,457 recorded floods, storms, heatwaves, droughts and other weather-related events. The 13 UN entities participating in the Initiative are FAO, UNEP, UNFCCC, UN-Habitat, UNICEF, UNESCO, UNFPA, UNOPS, UNISDR, WFP, OCHA, WHO, and WMO. Early warning systems and preparedness: The Food and Agriculture Organization of the UN will continue to build on its various early warning systems to ensure early action is triggered to reduce impact on agriculture-based livelihoods and develop comprehensive early warning-early action systems, including for El Niño affected countries.. The World Food Programme will launch FoodSecure, financially and programmatically support community-centred action by using forecast-based financing to enable community resilience building and preparedness before climatic shocks occur. “UNEP currently invests US$20 million annually in supporting Ecosystem-based Adaption in 47 countries as part of its EbA Flagship Programme and will catalyse further action to strengthen EbA as part of overall national adaptation planning. Insurance and social protection: WFP and Oxfam America, with support from the reinsurance company Swiss Re, are already helping 31,000 vulnerable rural households increase their food security by integrating disaster risk reduction, micro-insurance, livelihoods diversification, credit and savings into productive safety net programmes. Over the next 10 years, the programme aims to reach an additional 500,000 farmers in 10 countries. UNEP’s Principles for Sustainable Insurance (PSI), the largest collaboration between the UN and the insurance industry, has a global membership approaching 100 organizations, including insurers representing 20% of world premium and US$14 trillion in assets. PSI will create a Sustainable Insurance Policy Forum to scale up policy progress by insurance regulators in addressing climate and sustainability risks. Decision making: To better build physical and natural infrastructure, UNOPS launched Resilience Pathways, a tool to help countries integrate resilience planning across multiple sectors of their hard and soft infrastructure. It will be progressively implemented across 30 countries by 2020. UN Habitat is currently leading an initiative to help build urban resilience in sub-Saharan Africa. UN-Habitat is leading a global resilience initiative, the City Resilience Profiling Programme to build resilience of the most vulnerable urban populations. The Agency also deployed the CityRap tool in African cities to train city officials to produce their own City Resilience Action Plans in Mozambique, Malawi, Madagascar, Cape Verde, São Tomé e Príncipe, Guinea Bissau and the Union of Comoros. At least 300-400 municipal officials will be trained and the tool will concern at least half a million people cumulatively until mid 2016. The private sector also has an important role to play, for example, Global Adaptation and Resilience Investment Working Group, launched by Siguler Guff & Co., will mobilize private sector investment in climate adaptation and resilience. The Working Group is evaluating the potential for a $1 billion investment vehicle that could invest in both developed and developing countries around climate adaptation and resilience. ING has committed to allocate at least 20 per cent of the proceeds from the issuance of a five-year EUR 500 million and three-year US$800 million green bond to fund new projects, including for resilience. Four European countries – Germany, Norway, Sweden, and Switzerland – today announced a new $500 million initiative that will find new ways to create incentives aimed at large scale cuts in greenhouse gas emissions in developing countries to combat climate change. The World Bank Group worked with the countries to develop the initiative. The Transformative Carbon Asset Facility will help developing countries implement their plans to cut emissions by working with them to create new classes of carbon assets associated with reduced greenhouse gas emission reductions, including those achieved through policy actions. The facility will measure and pay for emission cuts in large scale programs in areas like renewable energy, transport, energy efficiency, solid waste management, and low carbon cities. For example, it could make payments for emission reductions to countries that remove fossil fuel subsidies or embark on other reforms like simplifying regulations for renewable energy. This new initiative is planned to start operations in 2016 with an initial expected commitment of more than $250 million from contributing countries. The facility will remain open for additional contributions until a target of $500 million is reached. It is expected that the new facility’s support will be provided alongside $2 billion of investment and policy-related lending by the World Bank Group and other sources. This facility will work alongside a range of global initiatives and national climate plans to help both developed and developing countries achieve their mitigation goals. It will pay for carbon assets with high environmental integrity and a strong likelihood to comply with future international rules, and will share its learning with the international community. Some 40 governments and 23 cities, states and regions are putting a price on carbon and cover about 12% of annual global greenhouse gas emissions. This coverage represents a three-fold increase over the past decade, and growth continues. Earlier this year, South Korea launched an ambitious carbon market including 500 facilities in more than 20 sectors. China — the world’s biggest polluter — recently announced plans for a national emissions trading program starting in 2017. Meanwhile, more than 400 companies around the world report using a voluntary, internal price on carbon in their business plans. Combating climate change is the challenge of our generation. World Bank Group President Jim Yong Kim explains why we need urgent and ambitious action. Six heads of state and government and the leaders of the World Bank Group and the International Monetary Fund today called on companies and countries to follow up on their ambitions for Paris by putting a price on carbon to drive investment for a cleaner, greener future. “Carbon pricing makes investments in low-carbon or carbon-free technologies attractive and ensures that fossil fuels are used efficiently.” Chancellor Angela Merkel, Germany. Carbon emissions from the burning of fossil fuels already carry a hefty price, though people are rarely aware of it. The bill comes to all of us masked in public health care costs, harm to the environment, and the effects of climate change. But what if the cost of carbon emissions was instead paid at the source, where choices about fuel use are made? How would that change the incentive structure underpinning our global reliance on fossil fuels? That’s the idea behind carbon pricing. It shifts the social costs of climate change to the source of the pollution, encouraging polluters to reduce emissions and invest in clean energy and low-carbon growth. So how do we put a price on carbon, and why do so many government and business leaders support it? In September 2014, the idea of a Carbon Pricing Leadership Coalition formed from a groundswell of support for carbon pricing at the UN Climate Summit, where 74 countries and more than 1,000 companies expressed support for carbon pricing. The Coalition is being formed for launch at COP21 in Paris, with the goal is to expand the use of effective carbon pricing policies that can maintain competitiveness, create jobs, encourage innovation, and deliver meaningful emissions reductions. On October 19, 2015, World Bank Group President Jim Yong Kim and International Monetary Fund Managing Director Christine Lagarde launched The Carbon Pricing Panel with heads of government and supported by private sector leaders. Leaders in the global drive to protect and restore forests announced a new focus on implementing partnerships with additional resources to ensure healthy forests and the sustainable farming and livelihoods that depend on them. “Forest countries in partnership with other governments, the private sector and civil society are set for anincreased international effort to eliminate natural deforestation and forest degradation in a few decades. The success of the LPAA and its action area on Forests relies on effective synergies between state and non-state actors, between investment and forest management — all together rallied behind sustainably managed forests as a common goal.” said Peru’s Minister of the Environment Manuel Pulgar-Vidal. Approximately one billion people depend directly on forests for their livelihoods and each year approximately 12 million hectares of forest are destroyed. This forest loss is responsible for roughly 11 percent of global greenhouse gas emissions. Heads of Government from major forest countries and partner countries also joined together to endorse forests as a key climate solution. Sixteen countries recommitted to provide strong, collective and urgent action to promote equitable rural economic development while slowing, halting and reversing deforestation and massively increasing forest restoration. As part of this commitment Germany, Norway and the United Kingdom, announced a collective aim to provide $5 billion from 2015 to 2020, if forest countries demonstrate measured, reported and verified emission reductions. National Commitments: Forest countries are developing national and sub-national plans and policies through which they will move from readiness efforts to concrete emission reduction programs, and governments have committed significant resources to incentivize and support action by forest countries to reduce deforestation. Brazil: Brazil has delivered impressive results in reducing Amazon deforestation over 70 percent in the last decade. Brazil and Norway made a joint announcement to extend their climate and forest partnership until 2020. Colombia: Colombia announced an ambitious partnership, together with Germany, Norway, and the United Kingdom, to implement its vision for green growth, with a particular focus on reducing deforestation in the Amazon region. Paraguay announced its commitment to recover and protect 1 million ha of forests by 2030 working in partnership with Itaipu Binacional company and international support, with a potential reduction emissions reductions of 200 million tons of CO2e. Indonesia is tackling deforestation and forest degradation through improvement on forest governance, transparency, and stakeholder participation. Democratic Republic of Congo created a REDD+ strategy. Liberia has a long-standing commitment through the 4C’s strategy that integrates community, commercial, conservation and carbon storage services of forest. Landscape Restoration: Landscape Restoration commitments by national and subnational governments under the Bonn Challenge initiative expects to have a minimum of 5 million hectares under restoration and additional commitments for another 60 million hectares. African and Latin American countries are making progress on land restoration and the 20×20 initiative (20 million hectares by 2020). Latin American Protected Areas Declaration: 16 countries have stressed the key role of protected areas for adaptation to the adverse impacts of climate change and climate change mitigation. They call for increased international support for the effective and sustainable management of protected areas. Private Sector Commitments: Ambitious goals have been set out by private sector actors to achieve zero net deforestation on supply chains of agricultural commodities such as palm oil, soy, paper and beef products no later than 2020 and ending natural forest loss by 2030. Indigenous Peoples and Civil Society: In the Amazon basin, indigenous organizations are building the Indigenous Amazon Fund, promoting the Indigenous REDD+ approach and working on forest projects with the support of the Dedicated Grant Mechanism of the Forest Investment Program (a funding from the World Bank, provides investments in forestry to support countries’ development and REDD+ objectives). The project of the artist Naziha Mestaoui “1 Heart 1 Tree” allows to add a tree to an installation through the project’s website or a mobile app, by buying a virtual tree, an artistic symbol for the planting of a real tree in countries from Peru and Brazil to Australia with the support of the UNFCCC. Why is the fight against climate change essential for humanity, and why do we have to start right now? After years of negotiations between 193 countries, the climate conference in Paris (COP21) is expected to be a turning point in the fight against climate change. The energy sector, accounting for some two-thirds of all global emissions, must be a top priority for action if we are to keep global temperature rise below 2°C. Accordingly, for the first time at any UN climate conference, renewable energy solutions will be showcased in a series of high profile events. This renewable energy track, named RE-Energising the Future (#REenergise), will demonstrate that renewable energy deployment offers a realistic means to meet our climate goals. 1. Renewable energy is key to decarbonisation: A crucial issue on the table at COP21 is whether to adopt a long-term decarbonisation goal. To date, more than 120 countries have expressed support for such an approach. Given that the energy sector accounts for two-thirds of global emissions, renewable energy will be central to achieving whatever goal is ultimately adopted. 2. Countries are making bold commitments: Countries representing more than 90% of the global economy have submitted pledges (INDCs in COP terminology) to reduce their emissions. Nearly all of them address energy consumption or production. In addition, 164 countries have adopted renewable energy targets aimed at speeding up the transition. 3. Monday December 7 is Energy Action Day at COP21: The morning will focus on renewable energy, while energy access will be addressed in the afternoon. A wide range of new initiatives will be announced by governments and business. More information here. 4. Energy Day is part of the Renewable Energy Track at the COP: The RE track will kick-off with a series of workshops on December 4 aimed at identifying and demonstrating important opportunities and benefits offered by renewables in a range of sectors including agriculture, industry, cities and transport. 5. Exciting developments and innovations will be live streamed: On Sunday, December 6, a high level conference will be held in the heart of Paris looking at exciting developments and innovations in relation to renewable energy. 6. Paris isn’t Copenhagen: The renewable energy landscape has changed dramatically in the six years since the last major UN climate conference in Copenhagen, 2009. Solar PV module costs have fallen as much as 80% since then, and wind turbine prices have fallen by almost a third. In just the last three years, the world added more than 100 gigawatts of new renewable energy capacity every year – a number equivalent to the total installed generation capacity of Brazil. Renewable energy technologies are creating more jobs on average than fossil fuel technologies. 7. It’s all about momentum: Renewable energy is a good news story, changing the climate narrative from one of sacrifice to one of opportunity. This allows governments to commit to going farther and faster, and thus creates momentum for the COP. The reverse is also true: it is the countries with strong renewable targets and enabling policies in place where deployment is increasing the fastest. COP21 has the power to speed up the renewable energy transition by taking decisions which put the world on a pathway to keeping global temperature rise as far below 2°C is possible. Pakistan has launched a new roadmap to add 3.5 gigawatts of wind energy capacity by 2018 and the government is aiming to boost the share of renewables in its overall energy mix. The Alternative Energy Development Board (AEDB), which is part of the Ministry of water & Power, announced that over 40 wind energy projects are being developed and will contribute around 2,050 megawatts of capacity to the national grid by 2018. 28 projects with a cumulative capacity of 1,396.4 MW are currently under construction, of which nine have achieved financial closure and 14 are under various stage of project development. A leading Chinese investment firm, HydroChina Investment Corporation, will put $115 million towards a 50 MW wind energy project near Karachi, Pakistan, as part of the ongoing energy collaboration between the two countries; the China-Pakistan Economic Corridor. The project is expected to be operational by September 2016 and will generate enough electricity to cover the energy requirements of 100,000 households. The Philippines will have over 600 renewable energy projects operational and the government has announced that it will scale its clean energy infrastructure. Hydropower is the leading energy source with a total of 344 projects and 7.39 GW capacity having been approved by the agency. The Philippine Department of Energy also approved 105 solar power projects totalling 2.55 GW capacity, 65 biomass projects with 255 MW capacity, 52 wind energy projects with 3.35 GW capacity, 46 geothermal projects with 750 MW capacity, and 7 ocean energy projects with 26 MW capacity. South Australia is aiming to reach zero net emissions by 2050. The new target includes a 100 per cent renewable energy goal by 2050. Juan Manuel Santos, the President of Colombia, and Luis Alberto Moreno, President of the Inter-American Development Bank, will present in Paris the Sustainable Colombia Initiative. The initiative, which was developed by the Government of Colombia and the IDB, focuses on a systemic approach to dealing with the country’s development and meeting the challenges posed by climate change, social inequality and post-conflict environments. With its vast fresh water reserves, abundant arable land and 10% of the planet’s biodiversity in natural forests covering an area the size of France, Colombia has an important role in the fight against climate change on the eve of the COP21 global agreement. This represents a double challenge since its wealth of natural resources is found in the areas that have been most affected by more than five decades of armed conflict that forcibly displaced more than five million people and left high levels of social inequality in its wake. France will invest a total of 2 billion euros in renewable energy in Africa in 2016-20, a 50% increase in comparison with the last five years. French President François Hollande made the announcement alongside UN Secretary-General Ban Ki-moon at the Défi climatique, solutions africaines (Climate Challenge, African Solutions) summit on Tuesday at the COP 21 climate change conference in Paris. Programs will encourage the use of solar energy, wind power, hydroelectricity or geothermal energy, depending on the potential of each country. More than 150 Heads of State and Government were present at COP21 on 30 November 2015. The Leaders Event was organized at the invitation of the President of France, François Hollande and the Minister of Foreign Affairs of France and President of the COP 21/CMP 11, Laurent Fabius. New coalitions make water systems resilient to climate change, with more than one billion dollars secured, and reduce impacts on oceans. A broad coalition of nations, river basin organizations, business and civil society today announced the creation of the international Paris Pact on Water and Climate Change Adaptation to make water systems – the very foundation of sustainable human development – more resilient to climate impacts. The ”Water Resilience Focus” event under the Lima to Paris Action Agenda on climate change also highlighted other key partnerships and coalitions to make river basins, lakes, aquifers and deltas more resilient to climate change and reduce human interference with oceans. A financial commitment by India to build climate resilience through improved groundwater management. In the Niger Basin (9 African countries involved), the launch of a 10-year investment plan to strengthen resilience to climate change, with financial support from the World Bank/IDA, WAEMU, KfW, GEF and the countries themselves. In Jordan, Lebanon, Monaco, Morocco, Spain and Tunisia, a 7-year commitment under the Mediterranean Water Platform to assess the state and trends of water resources, supported by the European commission. In Morocco, a project to increase resilience of the agriculture sector through improved irrigation practice, with financing from IBRD and the Kingdom of Morocco. In Mexico: 4-year collaboration to improve management of water resources and water services in the Mexico Valley. In Peru, Ecuador, Brazil and Colombia, program Ecocuencas, a 3-year commitment to a financial mechanism for adaptation to climate change in river basins, supported by the European commission. In China, a 3-year commitment to improve management of the Hai river basin, supported by France. In Central Africa in the Basin of Congo, the launch of a hydrological and meteorological monitoring program benefiting over 160 million citizens, with financing from AFD. Today, the world’s eyes are once again on Paris. I admire the people of this city for their resilience and determination. This conference shows that no matter how hard it was hit on that black day a few weeks ago les lumières de Paris brillent comme jamais. It’s good to be here. Voltaire the great French Enlightenment philosopher – once wrote: ‘Men argue. Nature acts.’ I believe these words hold a truth and a challenge to all of us at this summit. Because the truth is that climate change is nature’s active response to modern-day life. The Kingdom of the Netherlands is fully committed to the goal of keeping global warming below two degrees Celsius. I’s important to adapt to the effects of climate change. These two goals climate neutrality and climate resilience – go hand in hand. First, every country needs to focus on measurable national targets. Our efforts must lead to a legally binding climate agreement that addresses the causes and effects of climate change. Second, that agreement needs to be flexible and dynamic. It needs to take account of the great diversity of nations and the developments in each of them. The traditional divide between rich and poor and north and south is no longer all defining. Countries’ capabilities change. And it’s important that each contributes according to their ability. The Kingdom of the Netherlands takes this responsibility in climate finance seriously. In 2010-2014 we contributed 800 million euro, and Dutch climate finance will continue to grow to 550 million in 2016. And third, there needs to be a bigger role for companies, consumers, cities and civil society organisations. Climate policy can only work if it penetrates to the deepest roots of our society and people’s behaviour. For that to happen we need every conceivable party to work together – nationally and internationally. Let me give you a concrete example of a project that the Netherlands has a special connection with: the International Delta Coalition, in which vulnerable urban deltas from around the world share their knowledge and experience. Not only governments, but also companies, knowledge institutions and NGOs. So, ladies and gentlemen. Let’s act. Let’s act together. And let’s act now! Climate communication, civic crowdfunding, the function of INDCs – these were only some of the core topics and hard skills behind effective climate action that were offered during the 11th Conference of Youth (COY), the latest gathering of youth that precedes the annual UN conference on climate change. Conference of Youth was organized by a network of youth organizations including Avenir Climatique, CliMates, French Scouting Federation, REFEED, We Are Ready Now! and Youngo. Youth as Agents of Change was the motto of Young and Future Generations Day, held on 4 December 2015. The day featured a series of youth-led events and interviews that prove that young people are key players in reaching innovative, inspiring and ambitious climate change solutions. The day was organized jointly by the UNFCCC observer constituency of youth NGOs (YOUNGO), the UNFCCC secretariat and the COP 20/CMP 10 Presidency’s Stakeholder Engagement Team. The Climate Action Arena is a dedicated space that will give recognition to the ambition of cities, regions, businesses, civil society groups, trade unions and others to address the threat of climate change. The events listed below will include high-level dialogues, roundtables, debates, film screenings, and press conferences for the Lima-Paris Action Agenda (LPAA) – all of which will highlight how both state and non-state actors are playing their whole part to keep global temperature rise below 2 degrees Celsius. You’ve seen the headlines about the UN’s COP21 climate negotiations in Paris. Now get the big-picture perspective on this historic event with a two-hour special presentation of 24 Hours of Reality and Live Earth. The United Nations Climate Change secretariat held an event at COP21 in Paris to raise awareness about climate resilience. After the screening of the award-winning documentary “Adapting to a changing climate”, Kathy Jetnil-Kijiner from the Marshall Islands performed her poem “2 Degrees”. Ministers from Finland, France, Morocco, Senegal and Sweden, international organizations, multinational CEOs and civil society leaders launch the alliance to speed up and scale-up the potential of the sector for climate action. Twenty countries (Armenia, Austria, Brazil, Cameroon, Canada, Finland, France, Germany, Indonesia, Japan, Mexico, Morocco, Norway, Senegal, Singapore, Sweden, Tunisia, Ukraine, United Arab Emirates, United States of America, Vietnam), and over 60 organizations on Thursday launched an unprecedented Global Alliance for Buildings and Construction to speed up and scale up the sector’s huge potential to reduce its emissions and literally build greater climate resilience into future cities and infrastructure. The Alliance, which gathers organizations from countries to cities, NGOs, public and private organizations, networks of professionals, of cities, of companies as well as financing institutions, announced the initiative at the Lima to Paris Action Agenda Focus on Buildings, in Paris. Among other members, the International Union of Architects (UIA) now represents, through national architecture organizations, close to 1,3 million architects worldwide; the World Green Building Council (WGBC) represents 27000 companies involved in green buildings business worldwide; the Royal Institution of Chartered Surveyors (RICS) represents 180000 building surveyors globally; the European Construction Industry Federation (FIEC) represents the construction sector employers through 33 national federations in 29 countries. The buildings and construction sector is responsible for 30 per cent of global CO2 emissions but it also has the potential to avoid about 3.2Gt CO2 by 2050 through mainstreaming today’s available state-of-the-art policies and technologies. Reducing energy demand in the building sector is one of the most cost-effective strategies for achieving significant greenhouse gas reductions. Real estate represents about 50% of global wealth. Creating this transformation requires investing around an additional US$220 billion by 2020 – an almost 50% increase on 2014 investment in energy efficient buildings – but less than 4% of the current total global annual investment in construction activity ($8.5 trillion/yr). Returns on this investment could be as high as 124% if investments in ambitious policy and technology actions are being made now. As of today, 91 countries have included elements of commitments, national programs, or projects and plans relating to buildings in their Intended Nationally Determined Contributions (INDCs), the declarations by countries of what they are prepared to commit to. With support and greater awareness, many more may realize the potential for the building sector to contribute to realizing national targets. Yet, the building sector is very local and needs to align many different actors, which is a primary objective of the new alliance. As cities keep on growing until more than 70% of the global population will call urban areas home, it becomes crucial for the sector to reduce its emissions and literally build in greater resilience against climate change. Action will include: minimizing energy demand, greening the construction value chain, integrating renewables through district energy, implementing integrated building design and urban planning, and engaging financing institutions. On Wednesday, 2 December 2015, the UN Framework Convention on Climate Change (UNFCCC) Secretariat held a side event during the Paris Climate Change Conference 2015. The side event, titled ‘Technology Mechanism: Enhancing Technology Development and Transfer’ highlighted progress achieved by the Technology Mechanism, created to facilitate the development and transfer of climate technologies to developing countries. At the event, panelists provided information regarding the two component bodies of the Technology Mechanism: the Technology Executive Committee (TEC) and the Climate Technology Centre and Network (CTCN). Visit Korea, Peru, Germany and France pavilions at COP21 and watch a presentation of the NAMAs. The UNFCCC secretariat and the Climate Technology Centre and Network (CTCN) are collaborating to provide tailor made technical assistance for the preparation of Nationally Appropriate Mitigation Actions (NAMAs) in developing countries. At the UN Climate Change Conference in Paris, the UN’s Secretary-General’s Special Envoy for Cities and Climate Change Michael Bloomberg announced a new industry-led disclosure task force on climate-related financial risks under his chairmanship. The “Task Force on Climate-related Financial Disclosures”, established by the Financial Stability Board, will develop voluntary, consistent climate-related financial risk disclosures for use by companies in providing information to lenders, insurers, investors and other stakeholders. The task force is being constituted at the request of G20 Finance Ministers and Central Bank Governors. On Action Day at the 21st Conference of the Parties to the United Nations Framework Convention on Climate Change (UNFCCC) in Paris, UN Secretary-General Ban Ki-moon announced that a broad group of organizations would partner in 2016 to maintain momentum for multi-stakeholder climate implementation. Vietnam has pledged a contribution to the Green Climate Fund at the Paris COP 21 talks, further broadening the base of support to the Fund. 43 states have now pledged support to the Fund, including both developed and developing countries. Transport representatives at the COP21 United Nations climate change conference presented 10 initiatives on Thursday that aim to reduce carbon emissions and build more sustainable transport systems. Negotiators and delegates acknowledged that transportation has the highest growth in carbon dioxide emissions of any industrial sector during the fourth day of the historic Paris summit. You will be able to watch a live stream of Climate Action and UNEP’s Sustainable Innovation Forum, taking place on the 7th and 8th of December. Today, the World Business Council for Sustainable Development (WBCSD) launches an online platform, Natural Infrastructure for Business, to increase awareness of the business opportunities in investing in ecosystems – or natural infrastructure – and scale up action. The ultimate objective of the initiative is that by 2020, companies systematically assess natural infrastructure options when investing in new sites or projects, thereby contributing to the protection, restoration and creation of new ecosystems. Energy transformation mitigates climate change, increases energy access, and meets global sustainable development goals. Hundreds of governments, businesses, and cities are making strong commitments to accelerate the energy transition. Recognizing that transformation of the global energy system forms the backbone of climate action, they joined forces under a set of major cooperative initiatives that were launched or presented during the Lima-Paris Action Agenda Focus on Energy today at the COP21 UN climate change conference. The energy sector, accounting for more than two-thirds of global greenhouse gas emissions, must be at the heart of any effort to keep the global temperature rise below 2 degrees Celsius. An energy transition is underway worldwide. To make the next step-change in the energy sector, the world must focus on three core objectives: utilise all available technologies and push forward new research and development; increase ambition to change among all actors in all regions of the world; mobilise the funds needed to enable the transition. With the adoption of the Sustainable Development Goal 7 on energy, renewable energy, energy efficiency, and energy access, the international community set itself a clear roadmap towards a clean energy, sustainable future. The Global Geothermal Alliance (GGA), launched today, is set to achieve a 500% increase in global installed capacity for geothermal power generation and a 200% increase for geothermal heating by 2030. The world contains vast geothermal energy potential, proven across nearly 90 countries. But almost 90% of this remains untapped with roughly 12 GW installed so far. What was an idea just over a year ago, the GGA is now a strong partnership of 36 countries and 23 institutions with the action plan in place to meet the set goal. India elaborated on its recently launched International Solar Alliance (ISA), which aims to align countries with the abundant solar potential to push the development of solar energy technologies. With the focus on accelerating the deployment of solar energy in developing countries, the Alliance will work to meet the multiple objectives of access, economic prosperity and sustainable growth. The transformation potential of the Alliance lies in its prospective membership of over 120 countries of Tropic of Cancer and Tropic of Capricorn. The Africa Renewable Energy Initiative (AREI) announces its ambitious plans for deployment of renewable energy in Africa: build at least 10 GW of new and additional renewable energy generation capacity by 2020 and 300 GW by 2020. Considering that current total electricity generation in Africa is roughly 150GW this is a massive contribution to the climate change effort by the region. The Energy Day featured the forging of a range of partnerships to help meet this ambition. The Africa Clean Energy Corridor demonstrates progress and announces the beginning of similar work in the West Africa power pool. Clean Energy Corridors are regional platforms to accelerate deployment of renewable energy in larger region thanks to economy of scale and optimization of resources. Regional planning, capacity building, regulation convergence and tapping and connecting the best potentials are at the program of these partnerships. Combined electricity demand in the Eastern Africa and Southern African power pools could exceed 1000 terawatt-hours by 2030 – more than double their 2010 power consumption. Renewable energy can help meet this rising demand and drive Africa’s rapid economic growth without adding to global climate risks. On islands, the Small Islands Developing States Lighthouses Initiative (SIDS) announced that Saint Lucia is the 29th island to join the initiative. Since its launch in September 2014, the Initiative which aims at facilitating the up-take of renewable in islands has gain significant strides in meeting its set objectives. 18 small islands have developed their roadmaps for deployment of renewable energy and other early successes include the mobilisation of USD 150 million in financing, and the deployment of 18 MW of renewable energy. Development of bankable projects is one of the major barriers and a new pilot project development facility is being announced with the aim to grow it based on the experience in the pilot phase. An independent assessment of the Lima-Paris Action Agenda (LPAA) initiatives offers insights on how the LPAA can best accelerate climate action beyond COP21. Ecofys was among the analysts from seven global civil society groups and research organizations in Europe, the US, and India that conducted the assessment under the umbrella of the Galvanizing the Groundswell of Climate Actions network. The team analysed 72 initiatives and found significant transformative potential, wide geographic participation, and robust capacity to deliver, as well as specific areas for further development and strengthening. A key part of strengthening initiatives will be tracking them over time in a broad, comprehensive and consistent manner that is not yet in place. Regular high-level follow up meetings, such as those proposed in the draft COP21 text, as well as the NAZCA platform, are essential for tracking progress over time. Such tracking is not only of analytical value; it provides a better overview for effective measures to align non-state action with country contributions and internationally agreed targets, and highlights thematic and geographic gaps. Has anyone ever tried to convince you to order something off a menu that you couldn’t afford? Or had a friend buy an expensive appetizer and assume you’ll help split the bill? The dynamic isn’t too far from what’s happening in climate policy right now, with hypocritical, richer countries trying to convince poorer countries that green energy is the way forward. What is COP21 and why should we all care? On November 30th, leaders from 196 nations will gather in Paris for the 21st Conference of the Parties to the UN Framework Convention on Climate Change (#COP21). Their goal? To negotiate a global agreement to help avoid the worst effects of climate change. Of course, efforts to address climate change will not end in Paris. But it’s time for a new era of global cooperation, and we have a historic chance to leave with a plan that puts a safer future within our grasp. National Geographic is partnering with the United Nations Foundation and the Earth To Paris coalition to give a powerful voice to a critical message: Reimagining our world’s energy future will take a shared sense of urgency—from countries, companies, cities, and all of us. The President of the European Committee of the Regions, Markku Markkula, and the European Commission’s Vice-President, Maroš Sef?ovi?, have said that cities and regions are key partners in efforts to limit the rise in the Earth’s temperature below 2°C. They called on local and regional governments across the world to join forces by signing up to the Covenant of Mayors which commits signatories to cutting at least 40% of 1990 levels of carbon emissions by 2030. Launched in 2008, the Covenant commits local and regional governments to meet and exceed the EU’s climate and energy targets. Since then it has grown with over 6,500 cities and regions representing over 200m citizen agreeing to cut more than 20% of their carbon emissions by 2020. Building on the momentum, it was recently merged with the Mayors Adapt – which supports cities and regions to integrate mitigation and adaptation measures – and set a new 40% carbon-reduction emission target for 2030. The remarks came during a flagship event on the Covenant held only a few days before the end of the COP21, where negotiators are likely to turn to alternative solutions, such as focusing on delivering local climate action. Local and regional governments, including the members of the CoR, insist on being included within the new global climate-governance system, to work alongside the UNFCCC and states. In a report drafted by Kata Tütt?, a Councillor from Budapest, the CoR is also committed to promoting local and regional climate action in the EU and its neighbourhood. As part of the effort to take it global, the initiative has officially become part of the Non-State Actor Zone for Climate Action (NAZCA) – a platform launched by the UNFCCC that registers commitments to tackle climate change. The Equator Prize is a partnership effort to strengthen the role of indigenous peoples at the United Nations Climate Change Conference (UNFCCC COP21). 20 outstanding initiatives for nature and climate resilience were awarded at COP21. At COP21, Ben & Jerry’s dished up their ice cream “Save our Swirled” – with a message that can’t be ignored: “If it’s melted, it’s ruined.” Together with UNFCCC, the company is calling on international leaders to work towards 100% clean energy by 2050, planning to get to 100% clean energy at all of its sites in the United States by 2020 itself. From COP to cinema and back: Robert Redford is talking at UNESCO HQ on climate change. In the meantime, the Mobile Film Festival discovers young directors following one simple rule : 1 Mobile, 1 Minute, 1 Film. Video produced in cooperation with the Airports Council International, the only institutionally-endorsed, carbon management certification standard for airports. UN climate chief Christiana Figueres today called for a final push to meet the funding goals for the Adaptation Fund, which assists vulnerable communities in developing countries adapt to climate change. The Adaptation Fund has received new pledges for 2015 amounting to almost $75 million, including from Germany, Sweden, Italy, and the Walloon Region of Belgium, very close to the $80 million a year target for 2014-15 which was set about two years ago. “The announcements at the UN climate change conference by Germany, Italy, Sweden and Wallonia now put us in striking distance of that $80 million aim. I would call on others to come forward with the final support needed in order to register yet another success here in Paris towards the overall goal of a low emission, resilient world”. With the Climate Neutral Now initiative, the United Nations calls on businesses and individuals to reduce their climate footprints, to ensure we get on track to transition to climate neutrality by the second half of the 21st century. On 5 December at the UN Climate Change Conference (Action Day) astronauts sent a passionate message from the International Space Station to delegates calling for an effective action on climate change. They were joined by scientists and former astronauts from around the world. The three regions that make up Belgium have pledged EUR 11 million in new and additional funds to the Green Climate Fund: Wallonia will contribute EUR 7 million annually, Flanders will contribute EUR 3.5 million, and the Brussels Capital Region will contribute EUR 500,000. Al Gore stetement: the accord would have a powerful effect on the economy. “No agreement is perfect, and this one must be strengthened over time, but groups across every sector of society will now begin to reduce dangerous carbon pollution through the framework of this agreement.” Al Gore said in a statement. Achim Steiner, the Executive Director of the United Nations Environment Programme (UNEP), heralded the historic Paris climate agreement on Saturday that saw 195 countries reach a universal deal to reduce carbon emissions and prevent catastrophic global warming. Global businesses including Ikea, Nike and Wal-Mart have welcomed the historic climate agreement that was confirmed at the COP21 United Nations climate summit in Paris on Saturday. The agreement is expected to act as a signal to investors, business leaders and utilities that momentum is shifting away from fossil fuels sources of energy such as oil and coal, in favour of clean and renewable energy alternatives like solar, wind, hydropower and geothermal power. The international climate deal signed at COP21 in Paris on Saturday boosted renewable energy stocks on Monday and has dented fossil fuel companies. Analysts are forecasting a major increase in clean and renewable energy investments to develop new technologies in coming years, while coal and oil firms will experience more stringent regulations. The MAC Global Solar Energy Index was up 4.5 per cent on Monday and the iShares Global Clean Energy exchange-traded fund, which enables investors to trade renewable energy stocks, rose 1.4 per cent. The U.S. Oil & Gas Index initially fell 1 per cent, and was up 0.2 per cent after falling to the lowest levels in about seven years. Shares in coal companies were affected the most with Peabody Energy Corp falling by 12.6 per cent, and Consol Energy Inc by 3.3 per cent. Shares in renewable energy firms saw significant jumps with SunPower rising by 8.7 per cent, while First Solar Inc increased by 5 per cent. Wind turbine manufacturers, electric vehicle firms, and clean technology companies will benefit from the climate agreement, according to Goldman Sachs. United Nations Secretary-General Ban Ki-moon has hailed the adoption of the new Paris Agreement on climate change on Saturday and said that government representatives and negotiators have made history. Less than a week since signing the global climate deal in Paris, Japan and South Korea are pressing ahead with plans to open scores of new coal-fired power plants, casting doubt on the strength of their commitment to cutting CO2 emissions. Even as many of the world’s rich nations seek to phase out the use of coal, Asia’s two most developed economies are burning more than ever and plan to add at least 60 new coal-fired power plants over the next 10 years. South Korea did scrap plans for four coal-fired power plants as part of its pledge to the Paris summit, but 20 new plants are still planned by 2021. In Japan, 41 new coal-fired power plants are planned over the next decade, and taxes favour imports of coal over cleaner-burning natural gas. The European Environmental Bureau welcomed the global climate deal that was signed in Paris. It praised the hard work of participants at the COP, but warned that despite the sleeplessness and arduous negotiations to get the deal done, key elements were missing in the historic treaty, and called on the EU to step up its ambition. In Europe, this means building an Energy Union that will allow the EU to end its dependency on fossil fuels, massively increase its energy efficiency and speed up the transition to renewable energy. This also means that the EU needs to update its emission reduction targets in line with the new temperature target, and to reform its cap and trade system and implement environmental fiscal reform. More specifically: The European Commission needs to submit the necessary legislative proposals getting the EU on track to have at least 40% energy efficiency. EU member states must fully implement existing energy-efficiency legislation, with strict enforcement by the Commission. Europe must take the necessary investment decisions to ensure the EU’s 2020 targets are met, and that the long-term goal of keeping global warming down to 1.5 degrees C is reached. The EU needs to move forward with a structural reform of the EU Emissions Trading System (ETS) to make it fully effective with 100% auctioning of permits, the cancelling of surplus allowances and a significant share of revenue channeled to investments in renewables. The European Commission needs to once again start working to phase out fossil fuel subsidies and promote environmental tax reforms in Member States. The fossil fuel industry is facing a $US33 trillion hit to its revenues over the next 20 years as a result of the COP21 global climate deal signed in Paris earlier in December, according to analysts at Barclays bank. The implications will be felt most acutely in the oil sector which is estimated to lose $US22 trillion, with the gas sector losing $US6.1 trillion and the coal sector $US5.7 trillion. Energy analysts from Barclays bank in the UK said the climate deal will see renewable energy scaled up and will cause investors to rethink new investments in fossil fuel options. US lawmakers agreed to a first payment of US$500 million to the United Nations Green Climate Fund. The US State Department will meet its first instalment for the Fund in 2016. So far $10 billion has been pledged to the Green Climate Fund from developed nations. US president left in cold as other nations unite in support of climate accord. Nineteen members of the G20 group of leading industrialised and emerging economies underscored their commitment to the Paris Climate Agreement, leaving the United States isolated. Can the US Tackle Climate Change Without Federal Action? Can states, cities, and companies do enough on their own to fulfill US obligations to the Paris Accord? On the 2nd anniversary of the Paris Agreement, Heads of State, governments, civil society and the private sector are gathering in Paris to drive forward climate action. United Nations Secretary-General António Guterres will address the participants in Paris on 12 December 2017. Afgelopen dinsdag, 12 december, vormde Parijs opnieuw het centrum van de internationale klimaatdiplomatie. Twee jaar na het afsluiten van het historische klimaatakkoord van Parijs organiseerde de Franse president Emmanuel Macron de One Planet Summit. Inzet van de top: financiering vinden voor het klimaatakkoord van Parijs. De top boekte enkele belangrijke successen. De deelnemers aan de top gingen vooral op zoek naar geld. Veel geld. Om de economie klimaatbestendig te maken en arme landen voldoende te ondersteunen in hun strijd tegen de klimaatverandering, zijn miljarden nodig. De verklaring van de Wereldbank om vanaf 2019 geen extractie van fossiele brandstoffen meer te financieren (met uitzondering van sommige projecten in zeer arme landen), vormde ongetwijfeld de meest opmerkelijke gebeurtenis op de One Planet Summit.